SAS Forks are available in standard and custom sizes to fit into the construction industry where moving multiple different sizes of materials from pallets, bins, structural components and loose material. Stacking pallets in warehouses as well as loading/unloading of trucks including vans to flatbeds can be done with SAS Adjustable forks. These assemblies can be built with manual or hydraulic fork positioning as well as side shift and rotation. 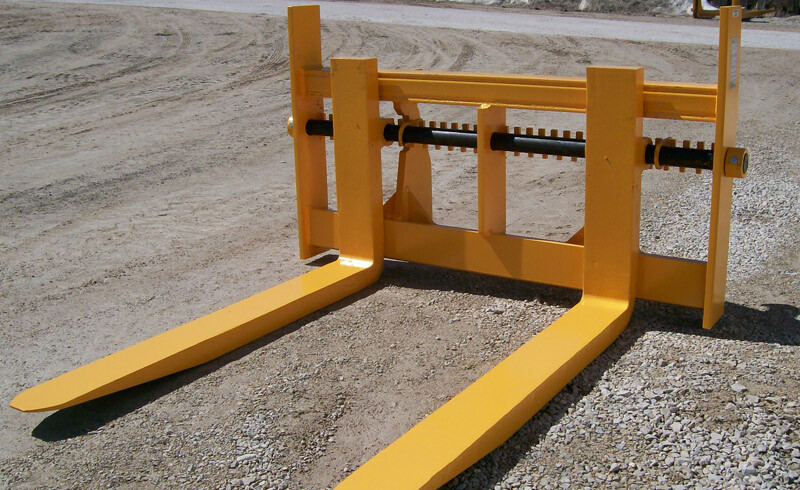 All around material handling with SAS Adjustable Forks simplifies the yard operations in many construction yards, oil rigs, forestry and and logging/lumber yards. Let SAS manufacture the ideal forks for your needs.